MANILA, Philippines – There is no question that Filipinos love to eat rice. We eat rice at least 3 times a day, with some even eating rice for snacks as well! 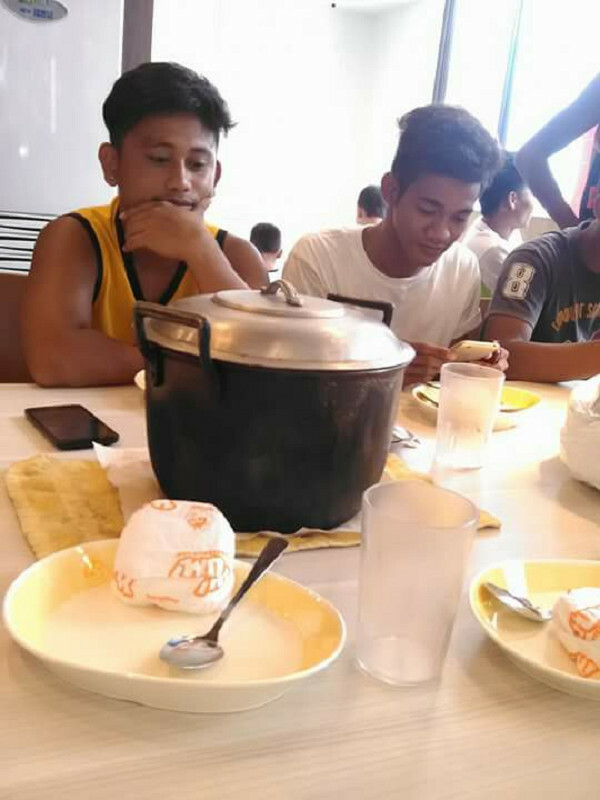 And most guys eat at least two cups of rice per meal, something that can prove costly when you go out to eat at a restaurant and there are several hungry men to feed. 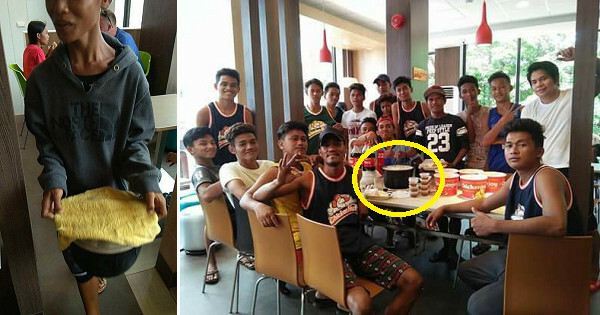 A group of friends recently went viral for their hilarious but rather clever antics wherein they brought a huge pot of rice to a Jollibee store. 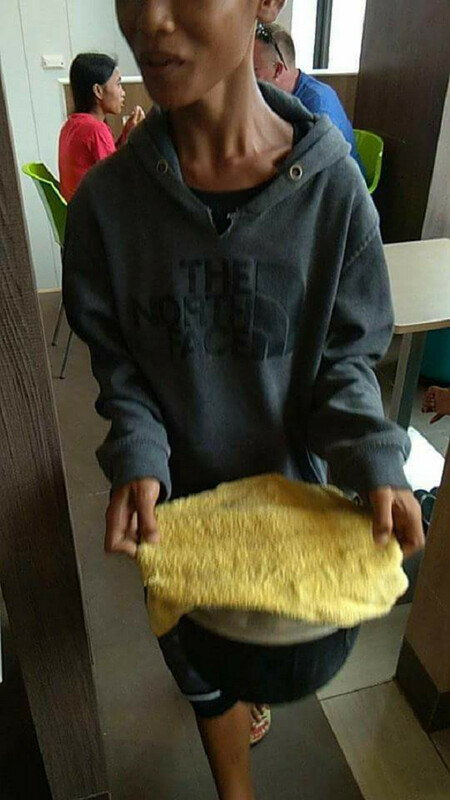 Proving that this is partly prank and partly life hack, the group didn’t bother searching for the cleanest pot to bring to the store, taking instead one with a blackened bottom that was cooked at a wood stove. Moreover, they did not even try to hide the huge pot or put the rice inside containers that were easier to conceal. Most Pinoy homes surely have a variety of food containers these guys can put the rice in but they didn’t bother. We could just imagine the noise they were making as they happily dug into that pot of rice like it was a pot of gold! Surely, the store management would have noticed their pot of rice the moment the guy bringing it had entered the store or, at least, seen it at their table when they had the meal. Perhaps the management simply had fun watching this group having a good time eating their meal with their unlimited ‘extra’ rice? Not really bothered whether they would be booted out of the fast food outlet or not, the group even posed for photos and shared this on social media. These guys are a legend, do you agree? LOL. 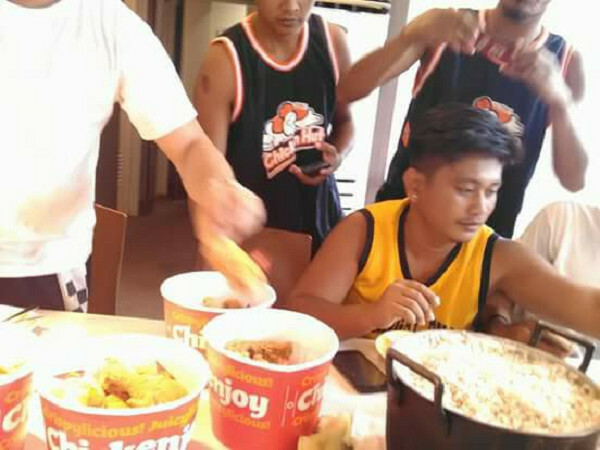 While there were some who called the group of friends ‘pasikat’ for their antics or perhaps just cheapskates who couldn’t afford to buy the extra rice, other netizens commented on the viral Facebook post that these guys are just probably having fun and they did order at least 5 buckets of ChickenJoy!